Talk about a tech wreck. The Nasdaq Composite Index posted its second worst January since 2008, with a 8 percent loss this month. Normally high flying stocks like tech giant Apple —which is now pinned below $100 per share—have been caught in the downdraft. Rather than run from the carnage, one highly regarded technician says to buy this pullback in technology shares. "Near-term trading is going to remain volatile, but for long-term investors we think these losses like the weaknesses we've seen today are a terrific opportunity to start legging into the market," Ari Wald of Oppenheimer told CNBC's Fast Money this past Wednesday. According to Wald's chart work, many stocks in the Nasdaq 100 have already declined significantly. 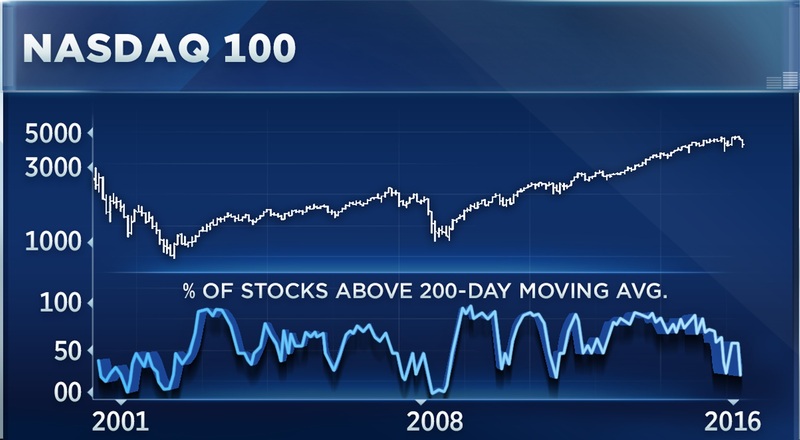 In fact, only 22 percent of the index is currently in an uptrend—defined as stocks above their 200-day moving average. 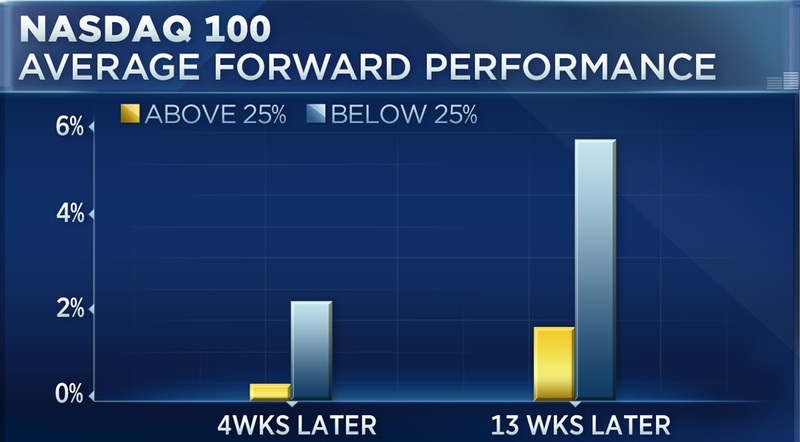 If history is any indication, this signal is followed by above-average forward performance, according to Wald. Since 2001, the index has averaged a 5.6 percent gain over the next 13 weeks when there are fewer than 25 percent of stocks above their 200-day moving average, which is currently the case. That compares to a 1.5 percent gain during any other period according to Wald. "The tactical signals are indeed favorable right now," said Wald. 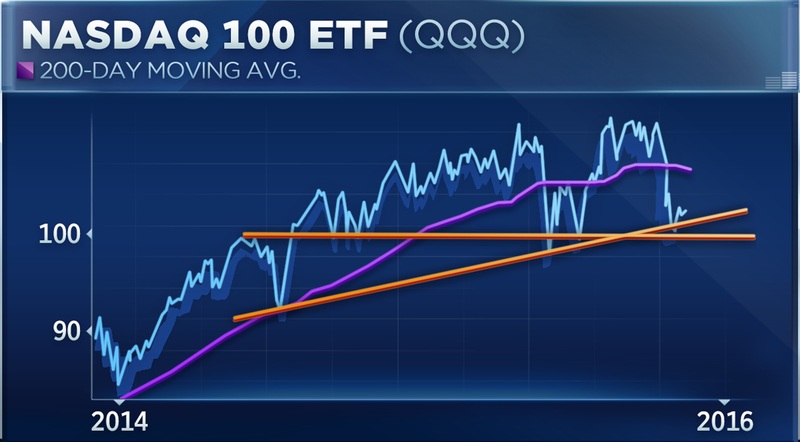 The QQQ, the tech ETF that closely tracks the Nasdaq 100, has traded around its key support level of $100. Wald recommends investors should buy it on the dip, then sell it on a bounce into $109 resistance, which is near its 200-day moving average and also a prior breakdown level. "We're calling it a low, but it's too soon to say it's the low," Wald said. "We think volatility continues through the remainder of first quarter, select areas of the market are going to continue to drag on these broad markets. I wouldn't be surprised if a bounce gets met with selling pressure," he added.